A pretty, little farmhouse in Iowa was the scene of the most ghastly multiple murders in the country. The way the townspeople paraded through the house, picking up items, walking through blood puddles, viewing the butchered victims. . . . . It was a quiet night that night. The EMF had an occasional spike, at one time up to 3.20, but never lasted. I've seen and recorded a shadow figure sliding quickly across the 2nd floor bedroom wall. No explanation as to the source of the shadow. The strangest thing was around 01:00 in the morning. The otherwise musty smell of the house had changed, but just in the children's bedroom on the 2nd floor. As we walked into the room, the musty smell had been replaced by. . . how can I say it? The scent of sleeping children. Sweet, alive, breathing. It really caught us off-guard. We sat and encountered the scent for about 10 minutes, then suddenly it disappeared and resumed the old musty smell. It was like being in a room with 3 sleeping kids. So strange. So amazing. 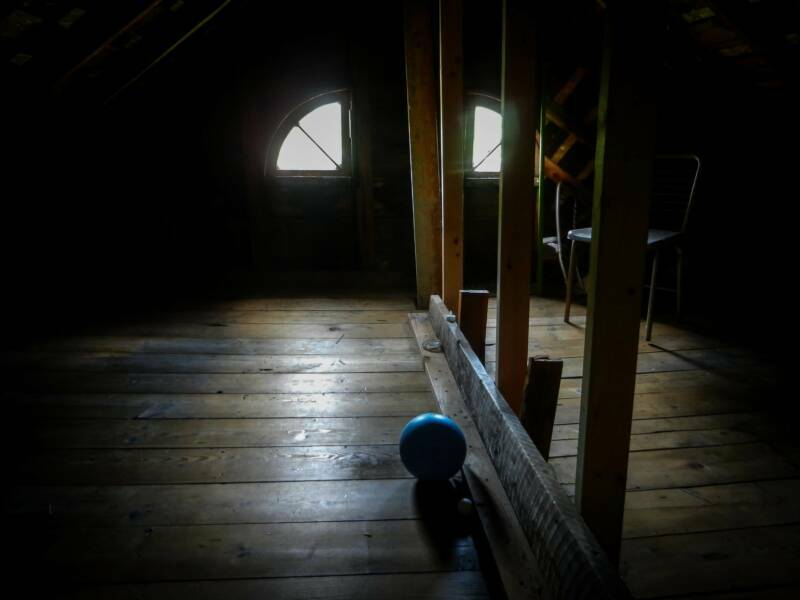 The other sounds I encountered came from the ground floor, but as I sat in the basement. Sounds of footsteps and shuffling. You can't get over the feeling that something is in the corners, the shadows of the house, watching vigilantly every move you make. Eyes on you at all times. Occasional feelings of fight or flight. The uneasy feeling of a pending event. The feeling that something horrific is about to happen. The only other thing worth mentioning is that the town itself doesn't have a large police presence. During our investigation, approx. 01:00AM, we heard voices coming from outside on the street and were shocked to see about 40 teenage kids assembling on the street in front of the house. Some of them were pointing at the house while others were starting to push and shove each other. Not sure what was actually going on, but there were only the two of us in the house. We were no match against that many teens. We were told that the town didn't have an active police department, so we were concerned. As the group on the street became louder, we decided to step outside on the porch and make our presence known. We didn't say anything. We just wanted to know that an undetermined number of people were in the house and that it wasn't empty. I'm sure there is still a curiosity over this house and the unfortunate and horrific events that unfolded inside. The group split up into smaller groups and departed ways into the dimly lit night. I'm not sure if other paranormal teams have encountered this, but it raised some concerns. Watch "The Dead Files" episode and see for yourself.